PREVIOUS EVENTS — Layla B. 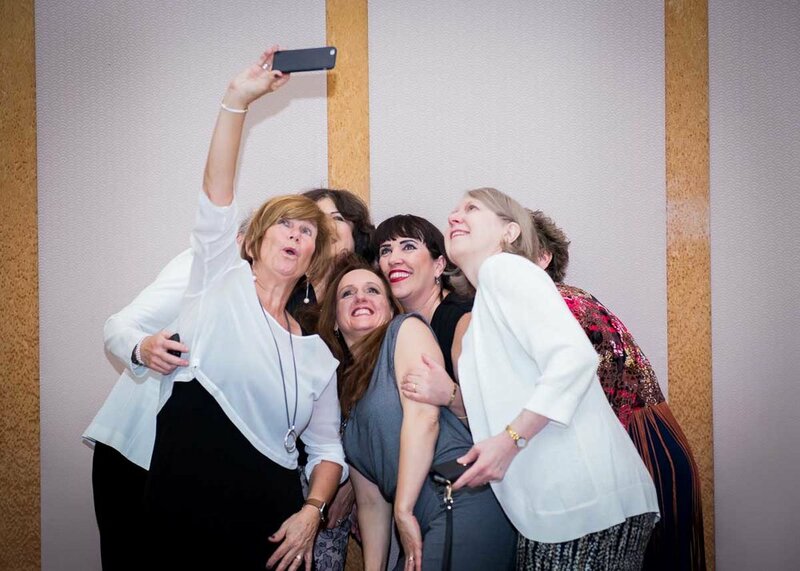 The birth of a baby is so important and wonderful, but the birth of a new mother is equally important and so is the role of the professionals supporting her. 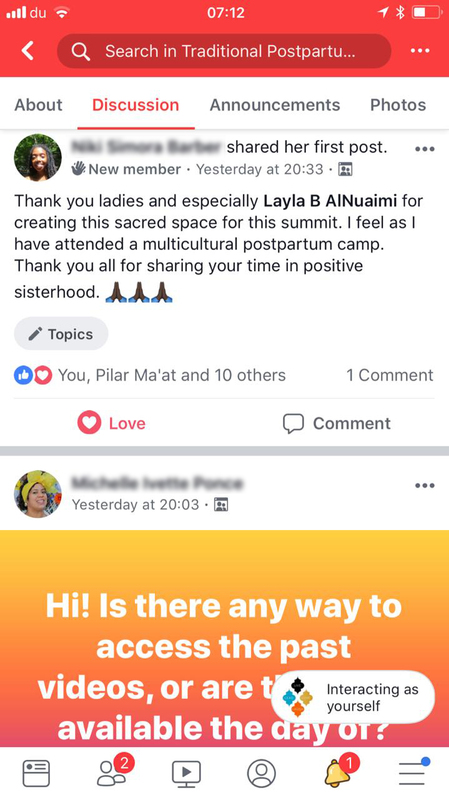 So many cultures place great emphasis on mothering the new mother and welcoming, honouring, nurturing, nourishing, closing and celebrating her through lots of sacred ancient wisdom and traditions. Unfortunately, a lot of these traditions have become or are slowly becoming extinct. We need to change that together! 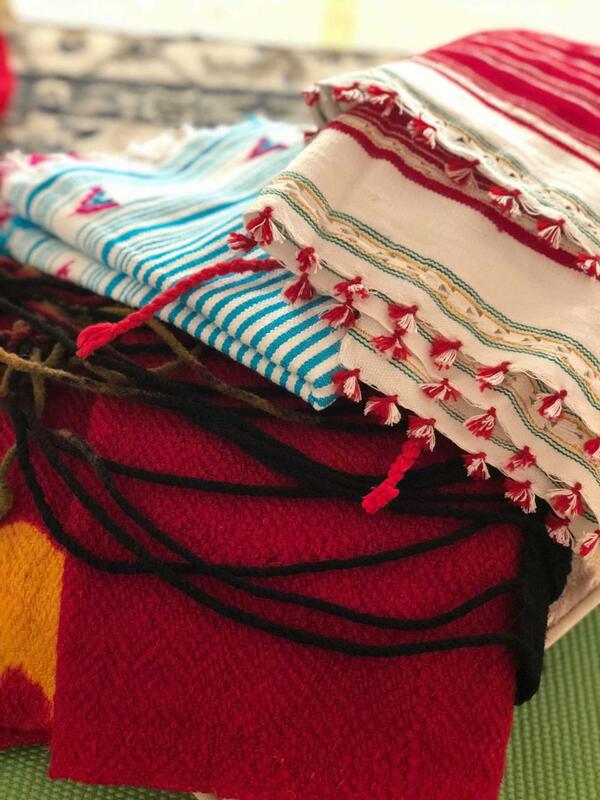 Closing the Bones in Morocco is known as (الشّد - Al Shedd - to close). Sometimes it is referred to as closing the nfissa (new mother) or closing of bones. It is the 5th stage of healing and a very important one. 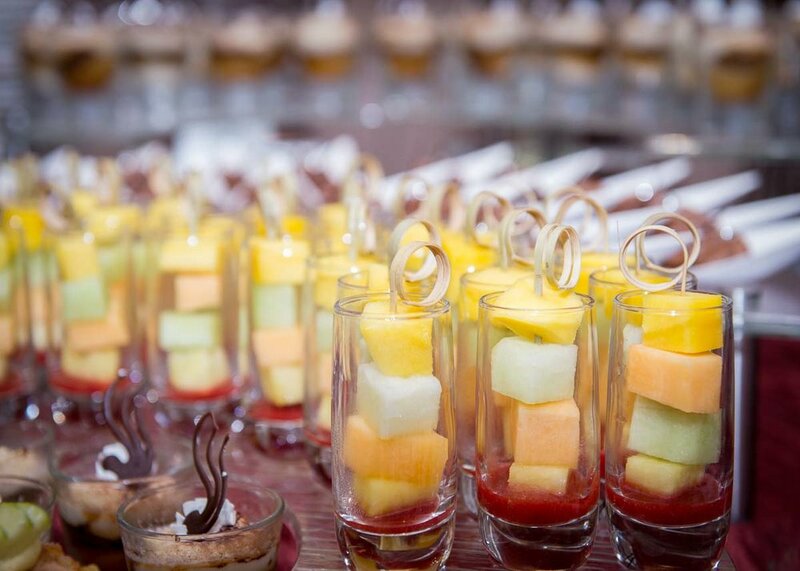 It is a sacred, ancient and traditional ritual and ceremony, which is actually quite hard to put into words. 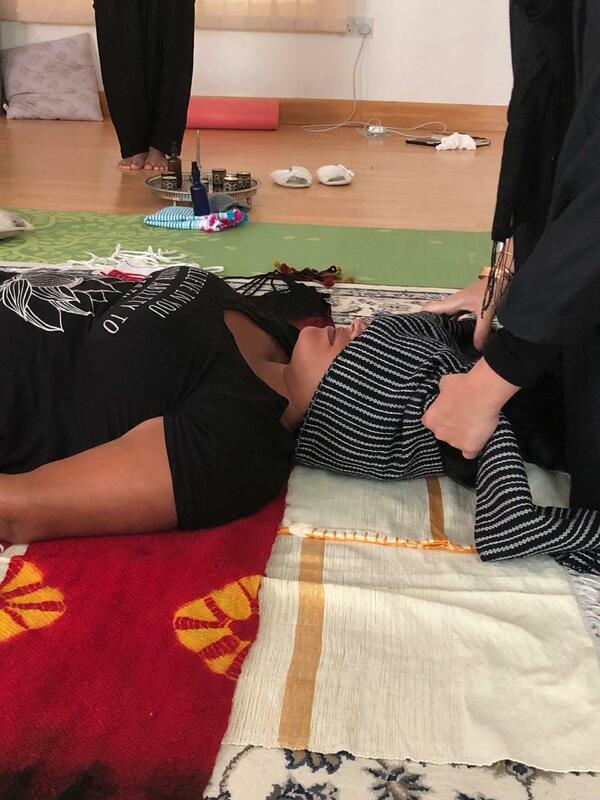 It is not a 'massage' as we are now accustomed to, but it is a body work ritual performed with the use of a traditional cloth, worn and used by women until today. It is done by 1 or 2 women...it is much easier with two women. 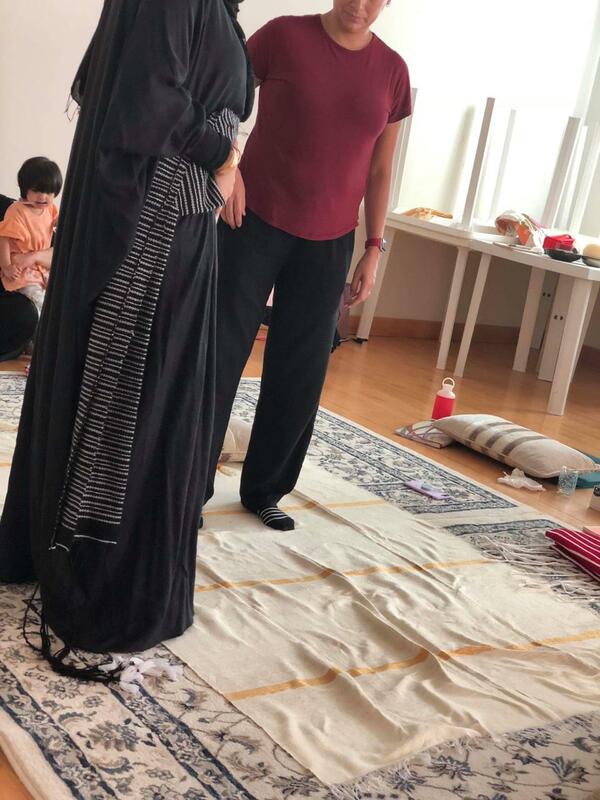 The woman is 'swaddled' 'closed' 'pulled' using this cloth from head to toe. 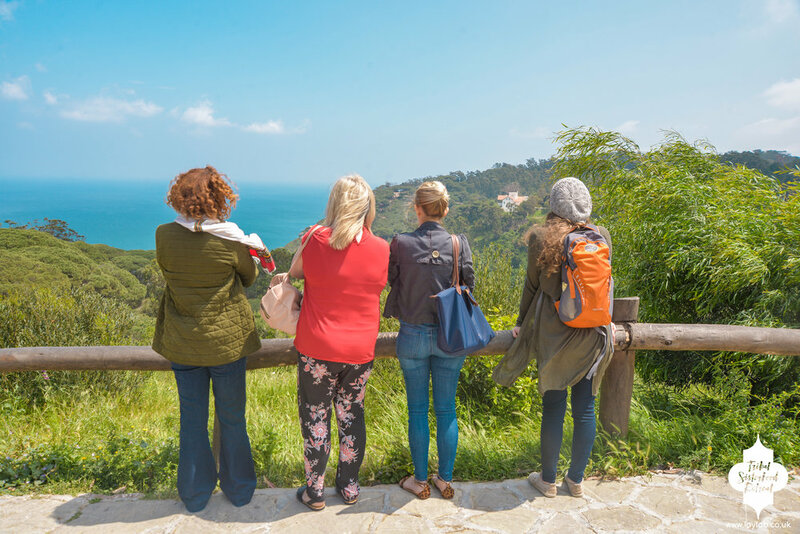 Starting from the head and going down, all parts of the body are closed, aiming to aid the bones, muscles, organs and everything to slowly go back to the pre-pregnancy state. After the full closing, the women lays on her side and her legs are massaged and rubbed strongly, her hips are squeezed down, her pubic bone is slightly pushed and then a belly binding is done using the same cloth. There is also another variation where the woman is also closed on her side and also massaged with olive oil on her legs, arms and stomach. 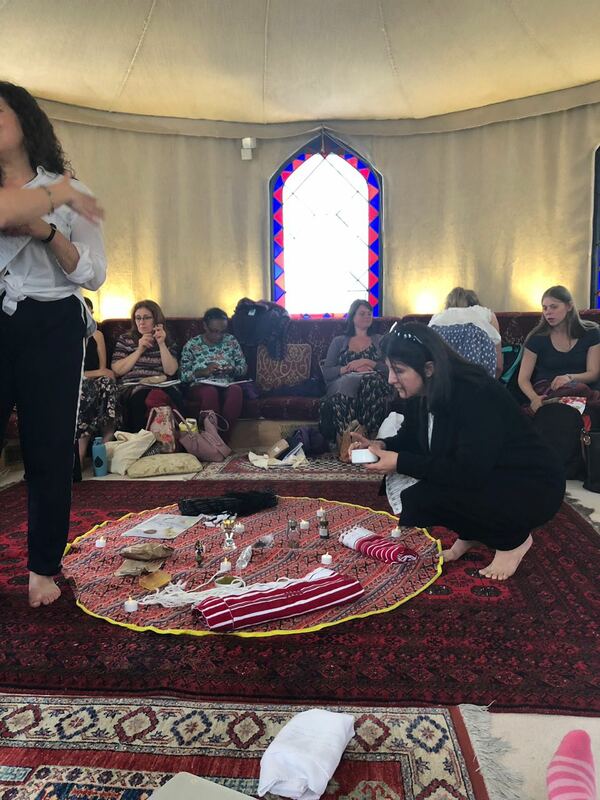 It is commonly known to be used for postpartum women, however in Morocco, it was also previously used during the wars when Moroccan men would come back after a rigorous day and need to be 'closed' to recover and heal and go back to war again. 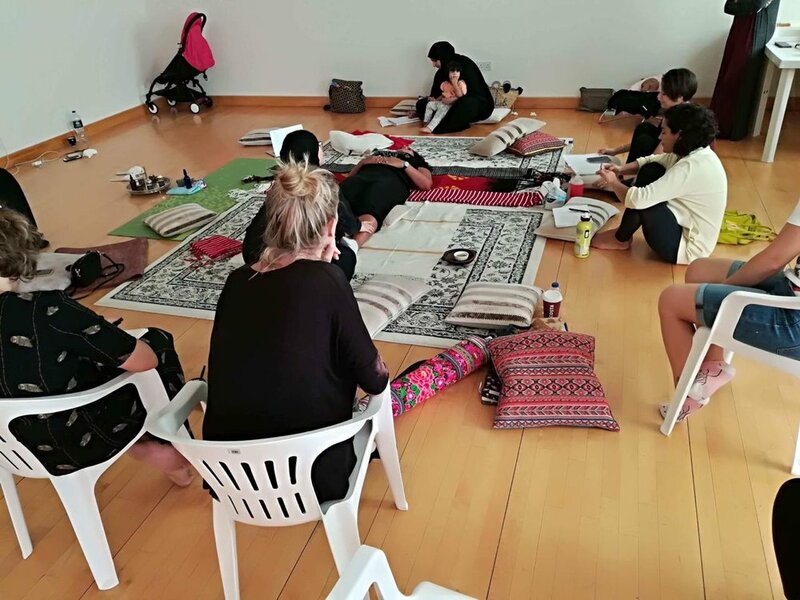 Being taught for the first time in Dubai for any woman who wants to offer this service to other women or just for knowledge. 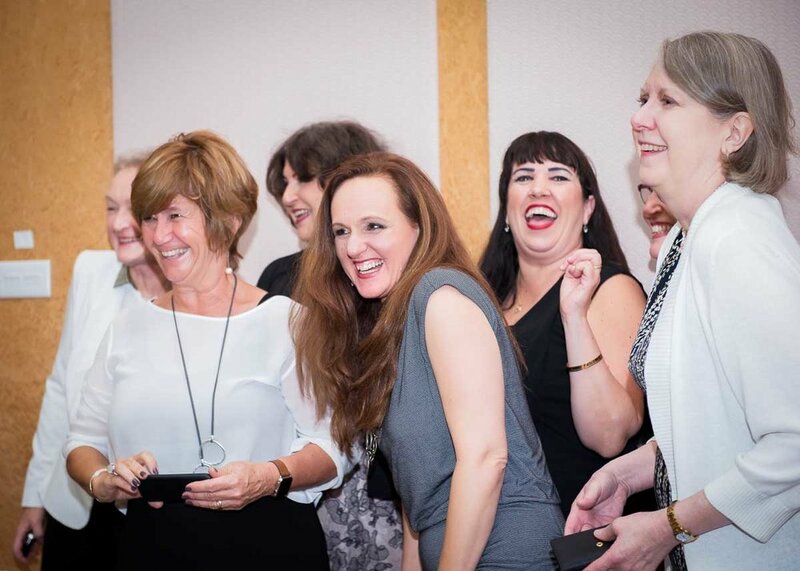 Every woman that attends will be certified to offer these services and listed on our directory once certified. 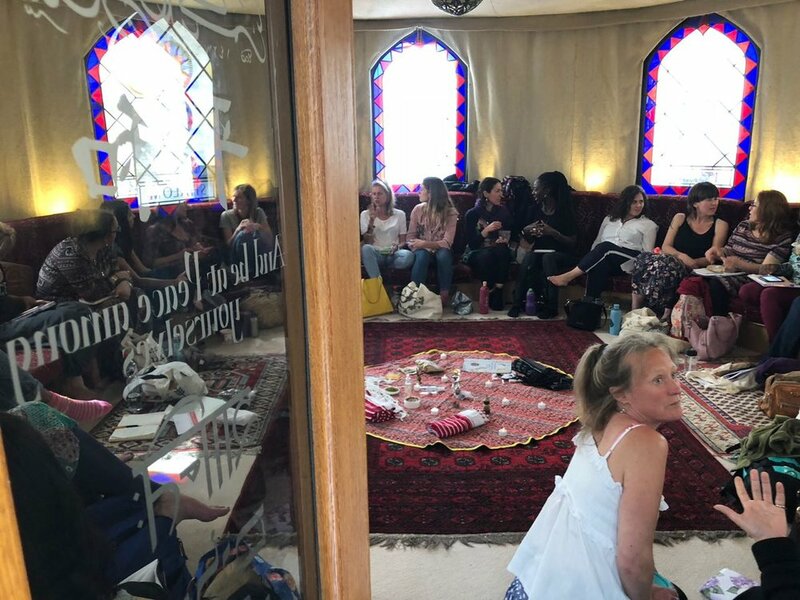 Joining me, Layla B, in London to discuss sacred traditional Moroccan postpartum wisdom, was 30 women in an Bedouin tent. 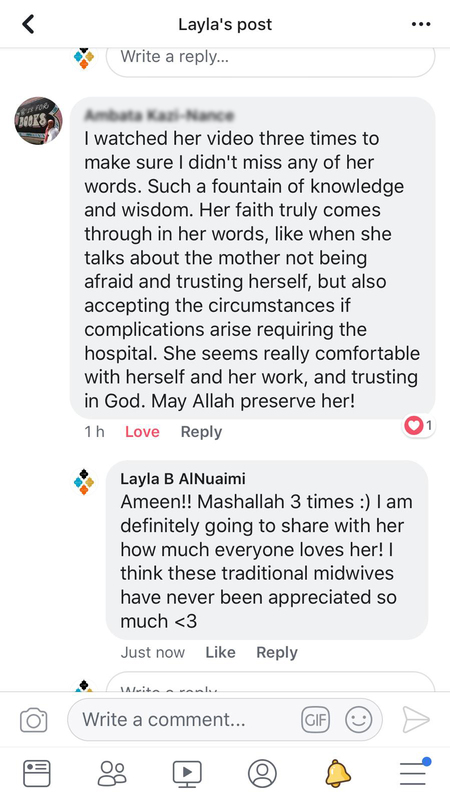 For the first time ever, the wisdom of the traditional qablas (midwives), Rahma and Fatima, from Morocco was shared with the outside world, with their blessings and guidance of course. 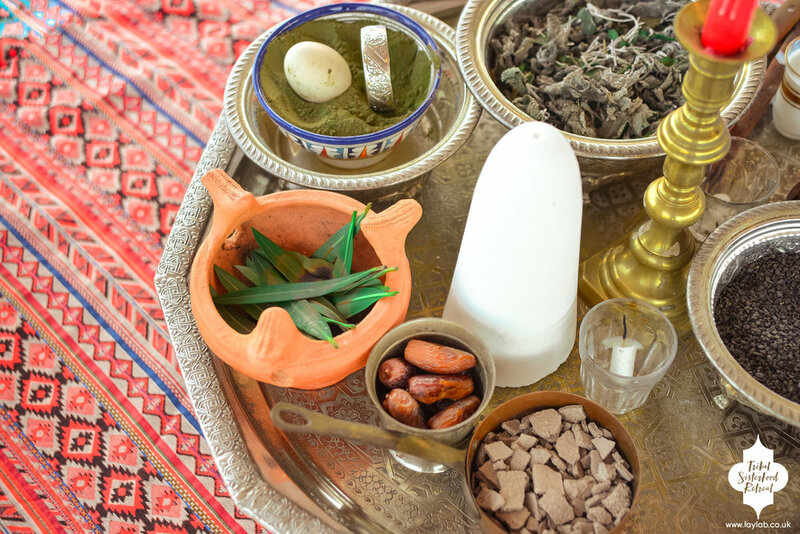 Rahma is a traditional qabla and healer from Chefchouen; her mother in law passed down the sacred knowledge to her and they come from a lineage of about 4 generations of qablas and healers. 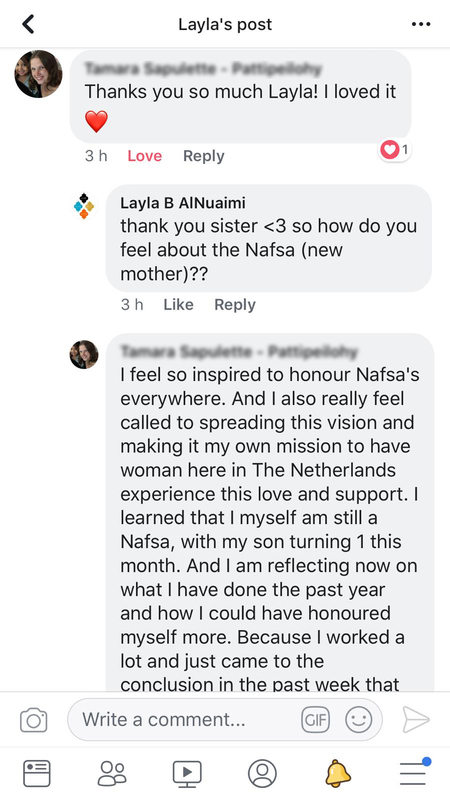 Rahma's mother-in-law actually was the qabla of my grandmothers and some of my aunties. 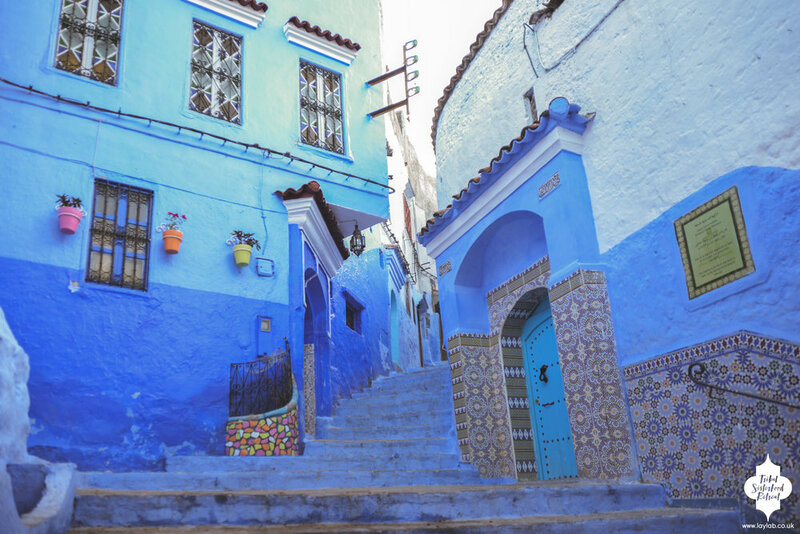 Fatima is a 'part-time' traditional qabla in a village outside of Tangier. 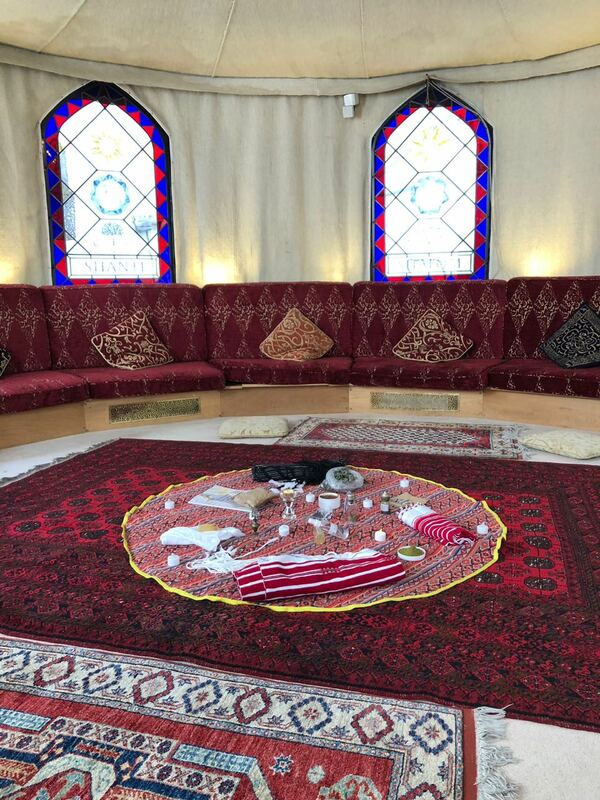 After my third birth, Fatima gave me a closing ceremony which consisted of a hamam, closing of the bones and belly bind. 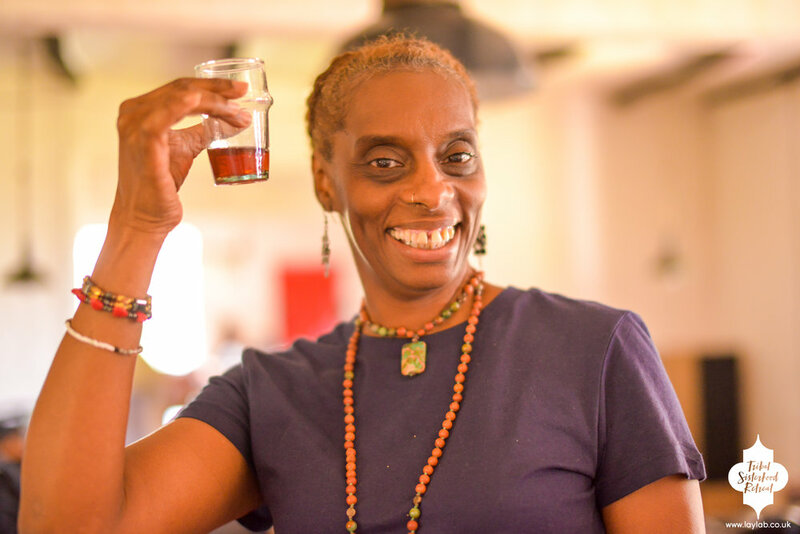 Her daughter, Nabila, also made us a delicious nourishing postpartum dish to enjoy together. 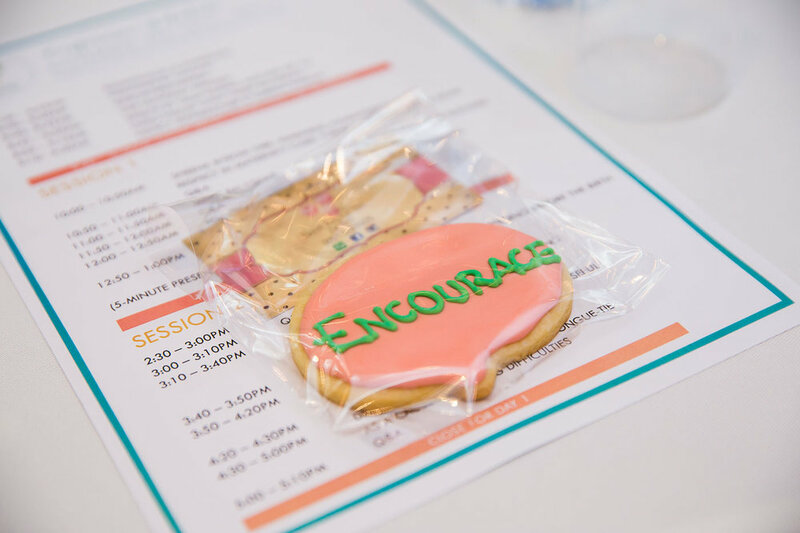 An annual sisterhood retreat in the Moroccan sunshine paired with a traditional postpartum certification training! 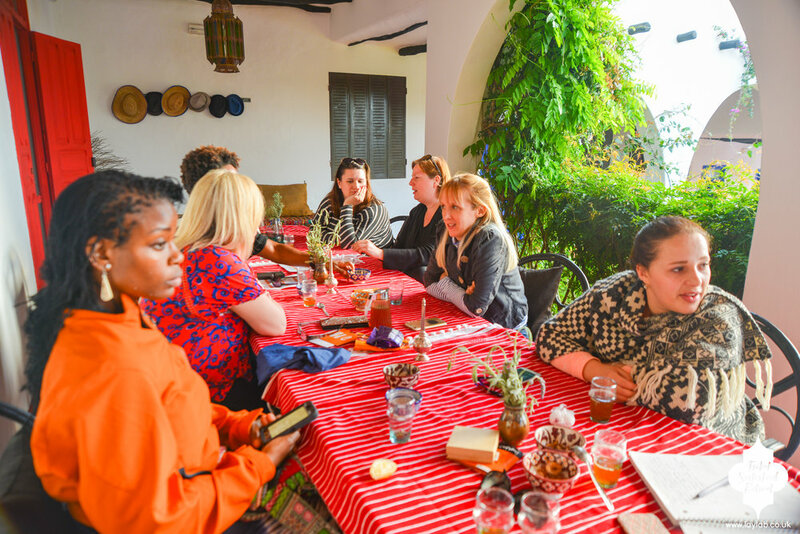 2018 was a journey of a lifetime with 12 women from across the globe, lots of Moroccan tea, sightseeing, dancing, celebrating, cooking class, shopping, discussing, immersing in the culture and traditions, hamam, and so much more! 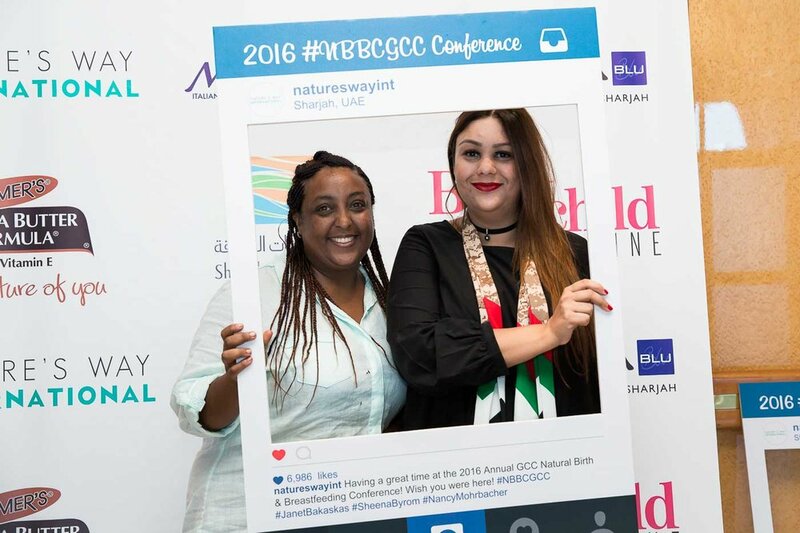 In 2015, Layla B., founded the Natural Birth and Breastfeeding Conference and retreats under the patronage of Her Excellency Sheikha Bodour Bint Sultan Al Qasimi. 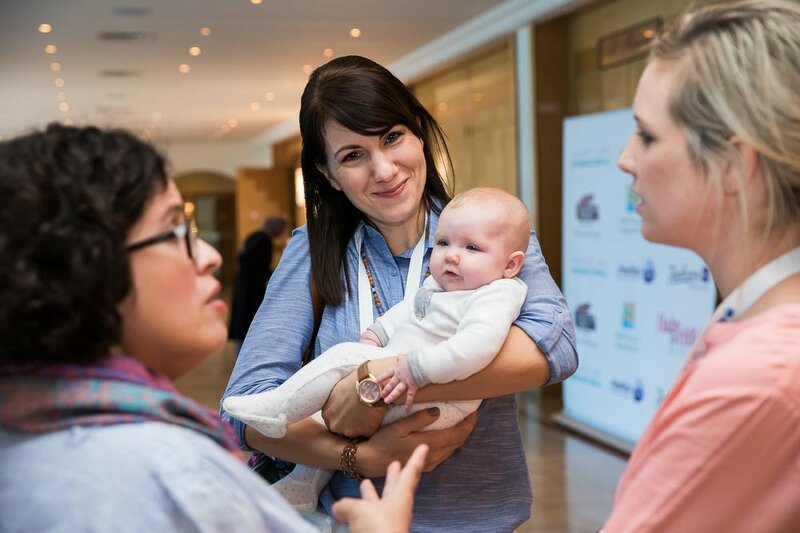 It is the first event of its kind in the UAE and GCC region bringing together local and international speakers and participants, sponsors, exhibitors to provide lectures, trainings and workshops for professionals. In 2015 the headline speakers were Ina May Gaskin and Dr. Jack Newman, with MP. Victoria Dondez (from Argentina) as a key VIP guest. 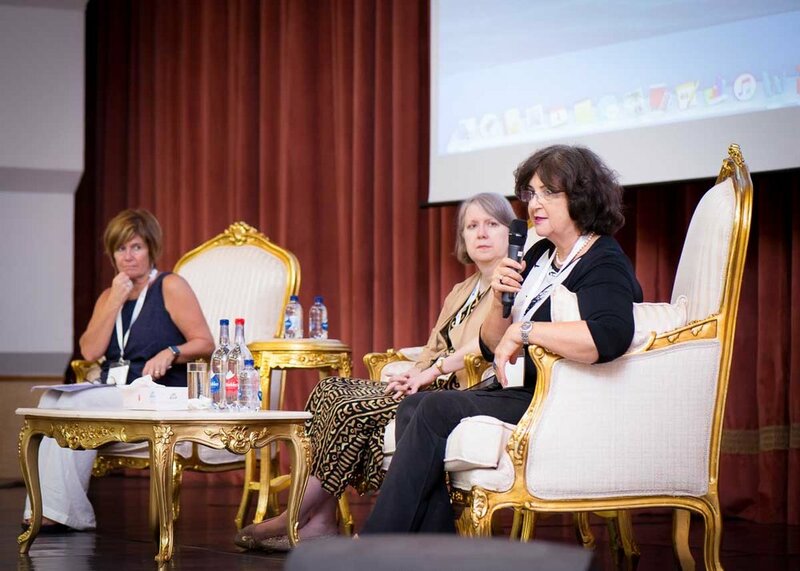 In 2016 the headline speakers were Janet Balaskas, Sheena Byrom and Nancy Mohrbacher. 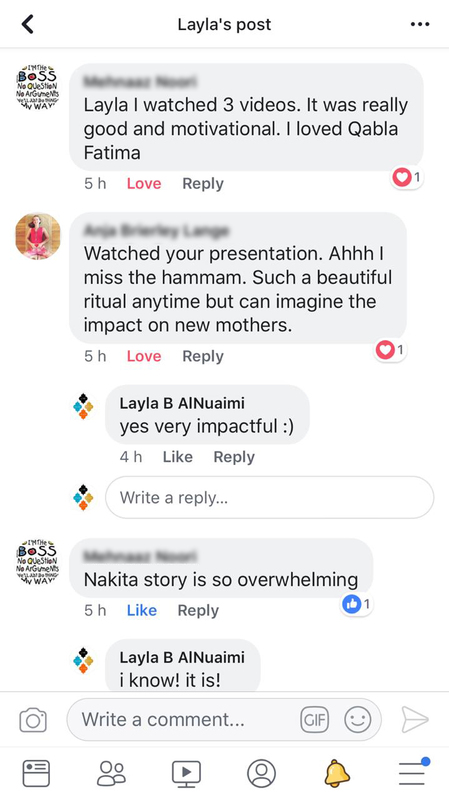 We have also arranged hypnobirthing training for professionals, Spinning babies workshops, childbirth education and doula training and now our own closing the bones (the Moroccan way) workshops. 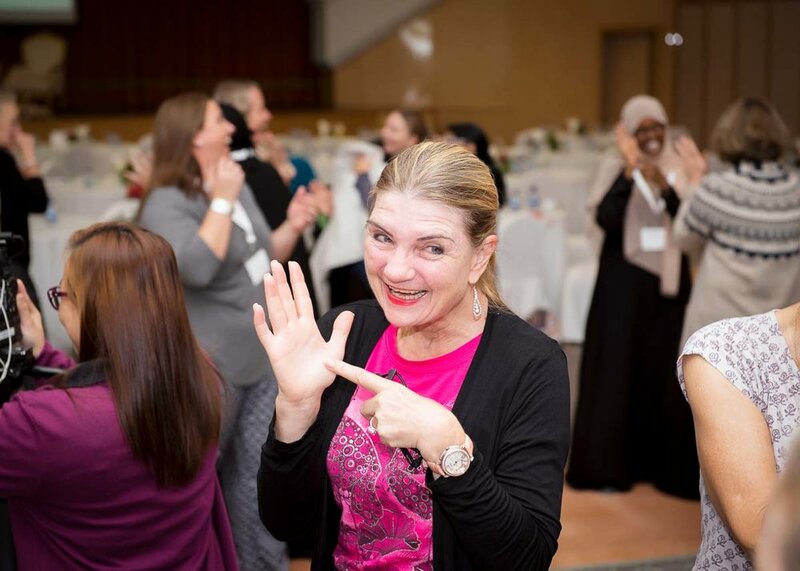 We have had almost 1,000 women participate in these events, with women coming from Uganda, Australia, USA, UK, UAE, Kuwait, Qatar, Saudi Arabia, Malaysia, Bahrain, Oman, Jordan, Lebanon, the Netherlands and many more.